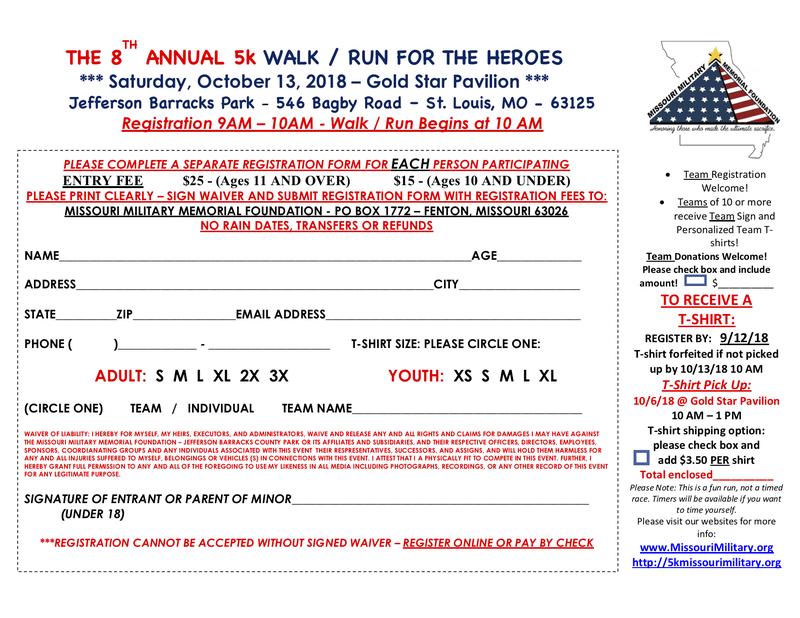 “TEAM NAME” or “GENERAL Fund” is specified for your donation. Please note that the video below is from 2015. 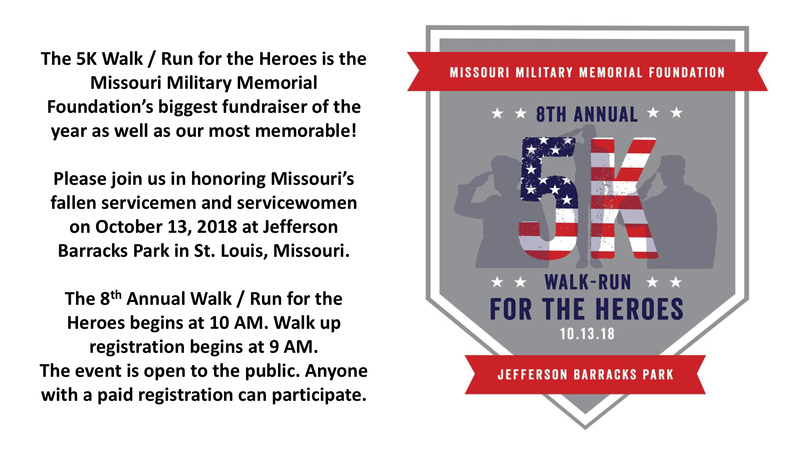 While the purpose of our fundraiser remains the same we wanted to ensure that this years 5K date (October 13, 2018) is not confused by the date included in the video below. We wanted to keep this posted as it is put together beautifully and reflects the mission we have set out to accomplish since our inception 8 years ago. 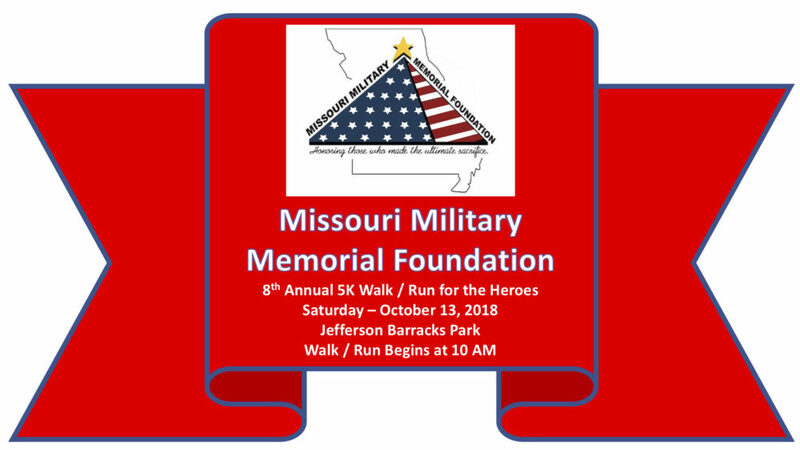 All of our fundraisers have one goal in common: to raise money so that we can honor Missouri’s fallen military personnel who were killed in action or a casualty of war during Operation Iraqi Freedom, Operation Enduring Freedom and the Desert Storm/Shield wars; this is our Phase Two project. Our Phase Two project, the memorial, was unveiled on May 27, 2017. Our Phase One project, the Gold Star Pavilion, was erected at Jefferson Barrack Park in May 2015. 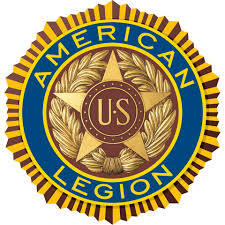 To see more pictures, and learn more about our nonprofit, please visit our About section on this website. 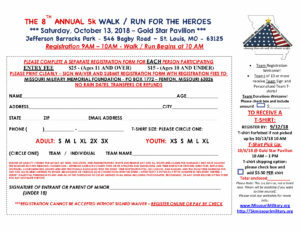 *You may still register for the 5K Walk/Run for the Heroes on the day of the event. 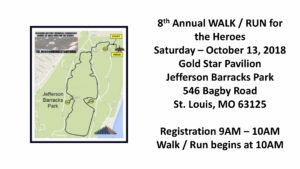 We’ll make you a sign representing your team or hero to be displayed on the 5K route. 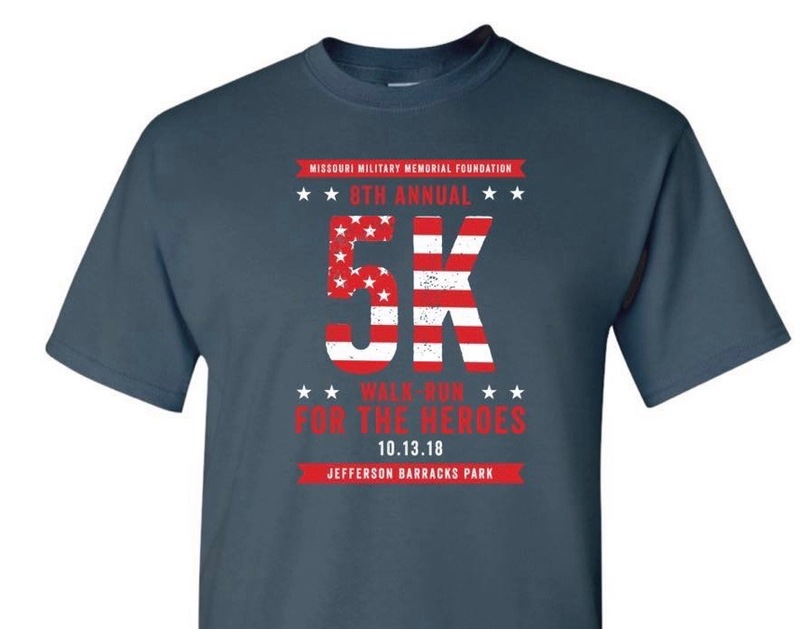 Earn free team personalized 5K t-shirts, for every member of your team, with your team name printed on the back. In order to receive a t-shirt, with your paid registration, please register no later than September 12, 2018. No t-shirt orders can be processed after this date due to our vendor deadline. 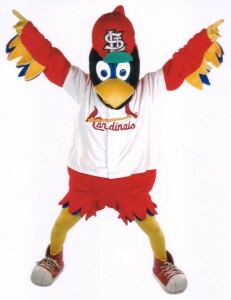 Meet & Greet our favorite Fredbird™ of the St. Louis Cardinals. Bring your camera and get your picture taken with this one of a kind and oh so funny mascot! 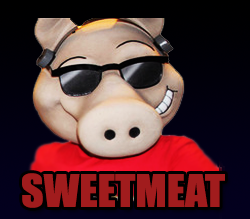 Sweetmeat and the KSHE 95 van will be on site to meet and greet our participants. Bring your camera! 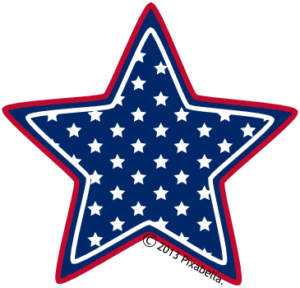 The St. Louis Chapter of the Patriot Guard Riders will be in attendance once again this year to show their support & respect for our fallen military personnel. Return of the Gateway Superfriends! 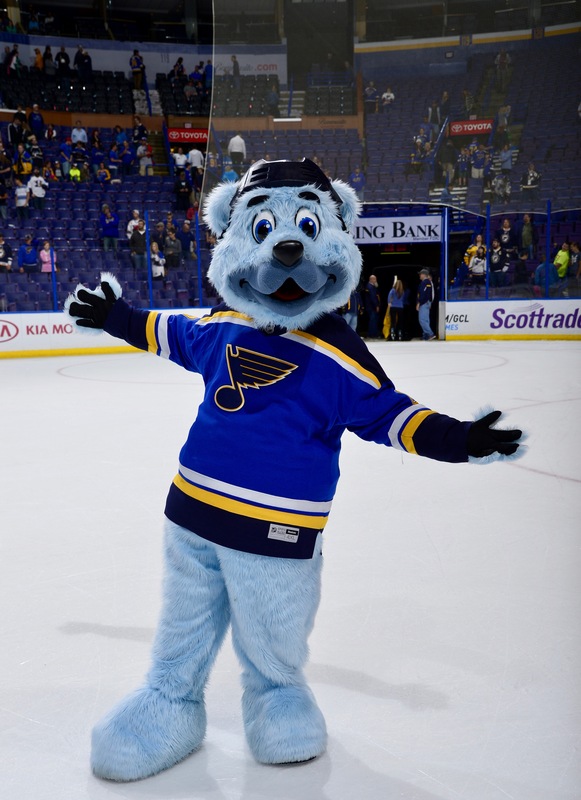 They will be in attendance to meet & greet our younger participants for photo opportunities. 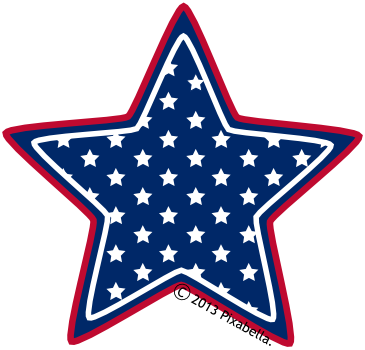 To learn more about Gateway Superfriends, please visit their Facebook by clicking on their logo. Enter through the North Gate off of Broadway heading south. Take first left at Gark Road. Head east on Gark and turn south (right) on Bagby Road. Take an immediate left (east) into parking area for pavilion. You can use this link to help you sort out your personal directions via Google Maps. 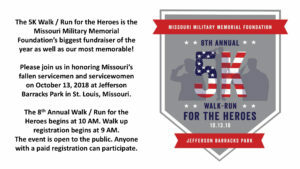 Fore more detailed information about the 5K Walk/Run for the Heroes please visit our Information page by clicking here. 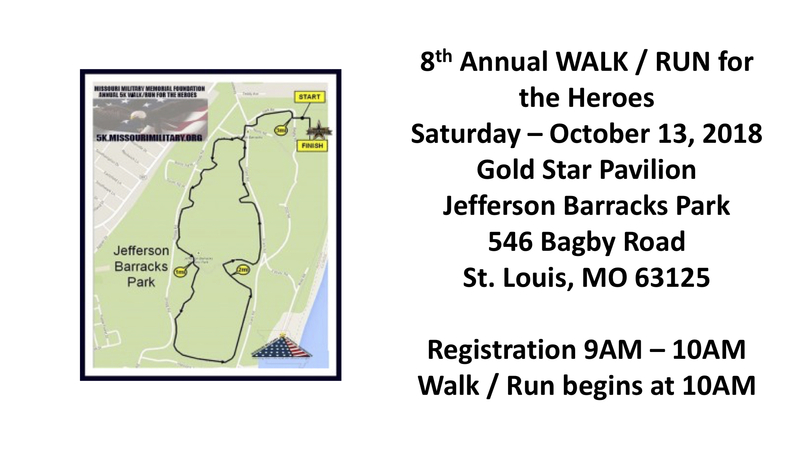 To sponsor our 8th Annual 5K Walk/Run for the Heroes, please visit our Corporate Sponsorship page located at this location.